Drafted: Selected by the Boston Celtics in the first round (6th pick overall) territorial pick of 1956 NBA Draft. Only collegian in NCAA history to have a 50/40 game. 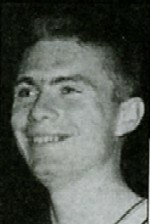 March 01, 1955 against Boston College, Heinsohn had 51 points and 42 rebounds!